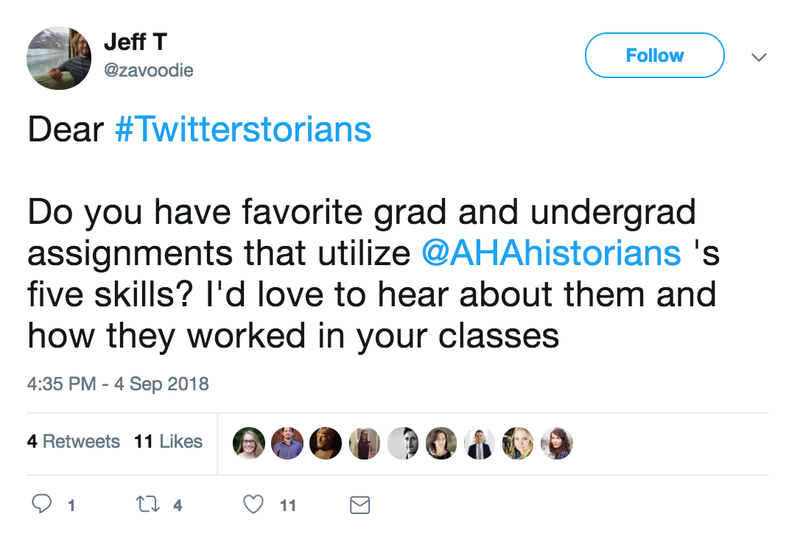 I wasn’t familiar with the Five Skills before Jeff’s tweet – which isn’t so surprising since the AHA seems to be pitching them toward grad school faculty and students and I teach at an undergraduate-only institution. But in reading about those skills, it seems to me that they’re worth emphasizing in undergraduate education, too. 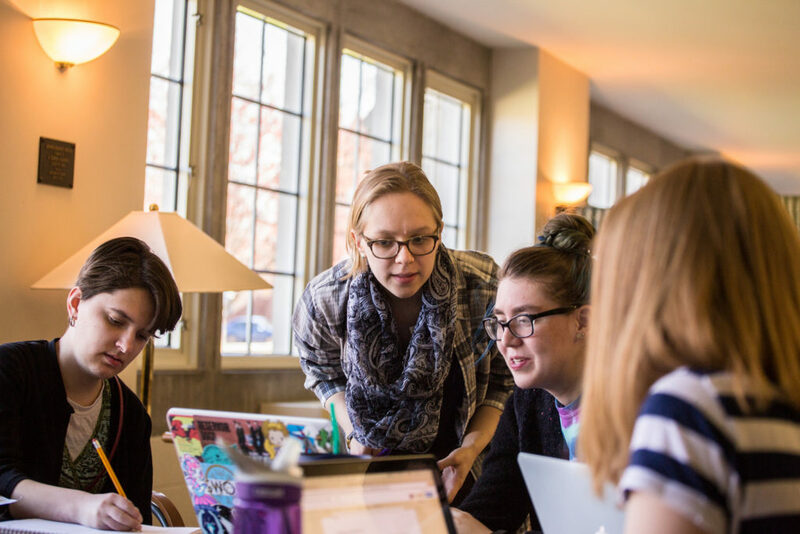 After all, not all of our history majors are headed for grad school, and they need transferable skills as much as the next person as they head out to the job market. The skills also place us in a great position to communicate to non-majors some of the things that history classes can do for them. In general, my courses each tackle a couple of the Five Skills, as do those of my colleagues at Knox. One of our majors would get good exposure to the skills as they took a variety of courses, although we could certainly do more to emphasize them (and I’ll take that idea to my colleagues as soon as fall term begins). But I also realized I have one course that deploys all five skills: Museums, Monuments, and Memory, a course in public history that asks students to design, build, research, and staff a fully-fledged exhibition in ten weeks. The Museums course has been running for ten years in its present iteration. Every two years, the students in the course work as a team to design an exhibit on a topic I provide. 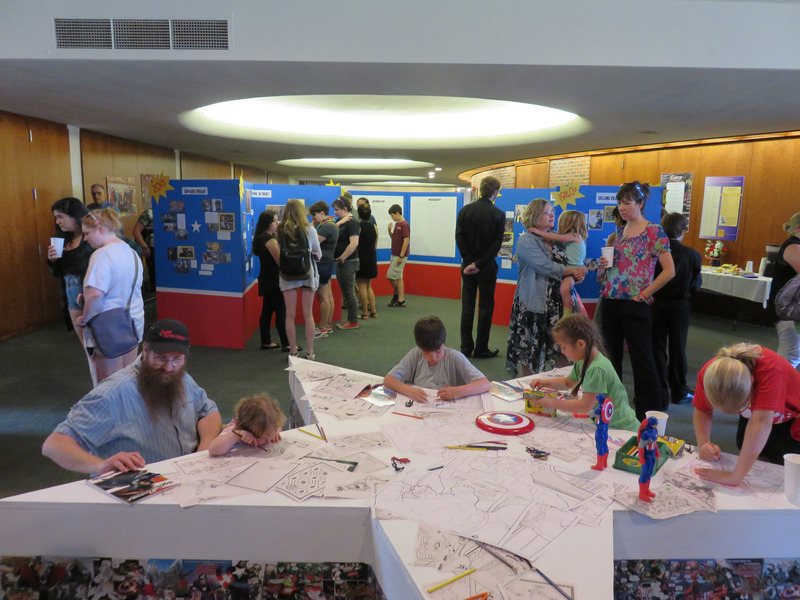 We don’t have gallery space at Knox, so we have to design and build the exhibit architecture to fit in the lobby of our Fine Arts building, as well as undertake primary and secondary-source research, and decide what actually makes it to a display board. So how does this fit with the Five Skills? Students in the class choose at the beginning of the term whether they’d like to be on the design or communication team. (More on the design team in a moment.) 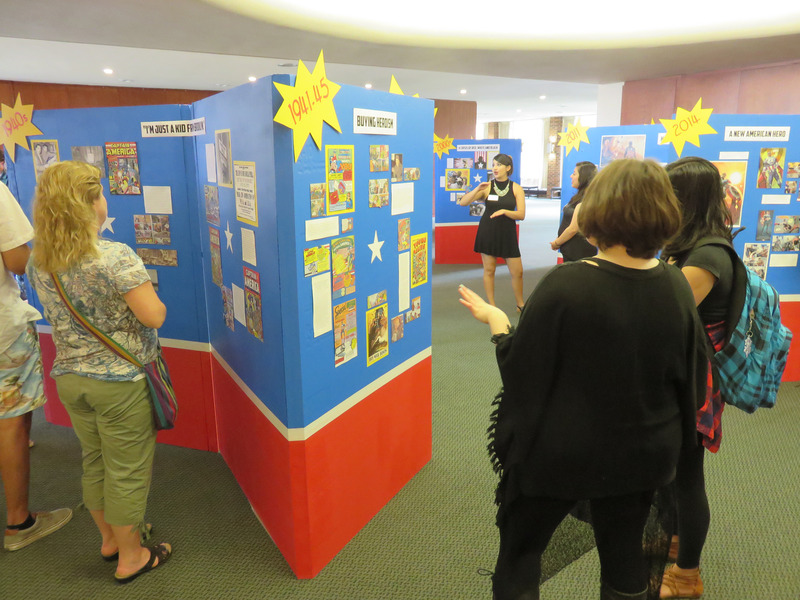 The communications team works “in a variety of media and [with] a variety of audiences” as they get the word out about our exhibit to the campus and local communities. They create press releases; they go on local radio; they have, in the past, placed advertisements in the local newspaper. They’re in charge of drafting, work-shopping, and making posters that go up around campus two weeks before our big opening, and coordinating the distribution of the same posters to businesses around town. They send official invitations to local dignitaries, people who’ve contributed memories or resources to the exhibit, and key campus constituents who they hope will come to the grand opening. The students in the Museums class work as a group to decide the parameters of a given exhibition, under the umbrella of the topic I provide. 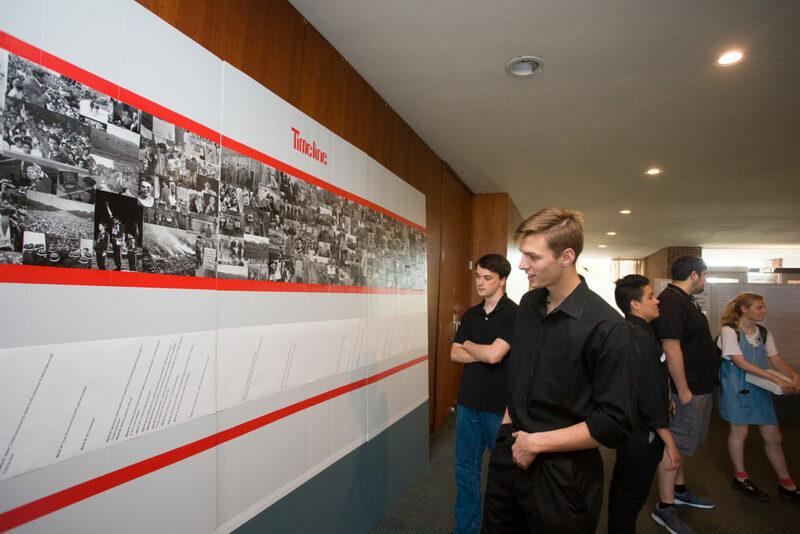 This year’s exhibit was 1968, and the students brainstormed everything they thought was important about that year before splitting into small groups to undertake research on important subject areas. They coordinated with each other to make sure, for example, that no two boards repeated information about Nixon, or the Chicago protests, or the Cold War. They also divided themselves into the Communications and Design teams. The design team came up with a range of initial designs for the exhibit which the whole class then work-shopped, provided color boards from which we all chose the exhibit color scheme, and were in charge of budgeting for materials and ordering them from local suppliers. 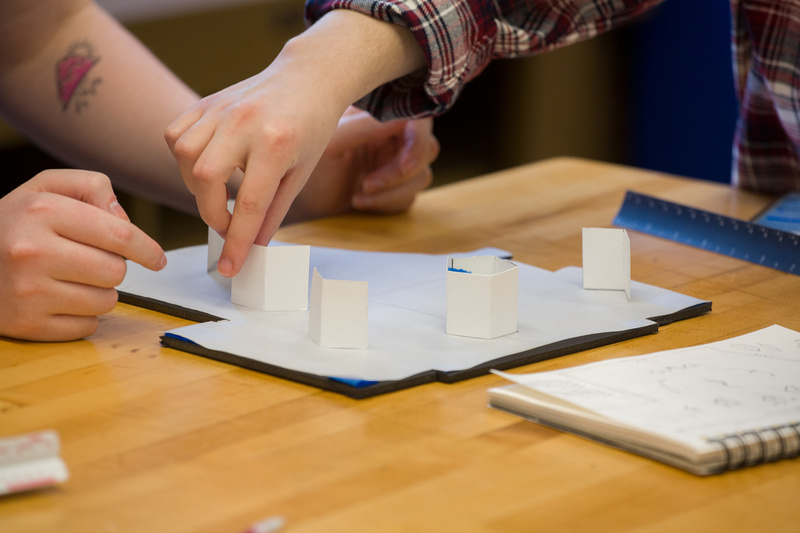 At each step in the process, students have to collaborate with others. This doesn’t always go smoothly – some classes gel as a team pretty easily while others don’t. 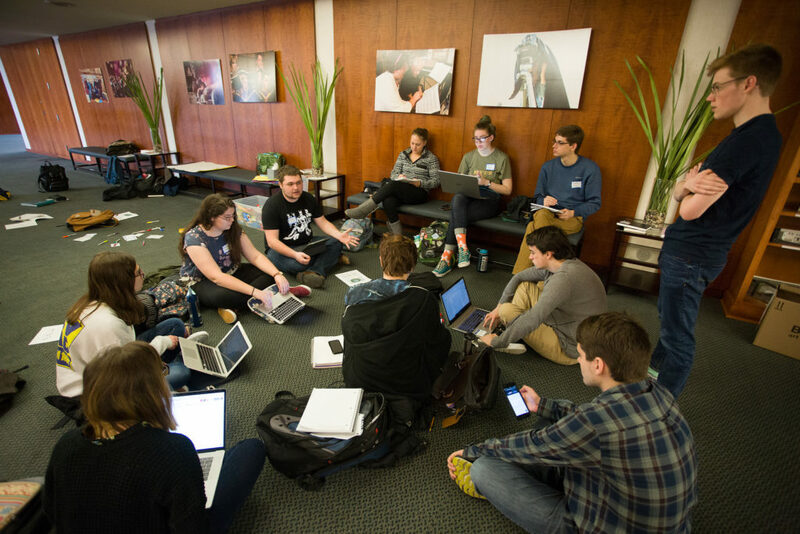 But no matter how well the class gels, there are valuable lessons to be had in learning to collaborate, especially when it comes to dealing with conflict, and problem-solving with multiple stakeholders in mind. 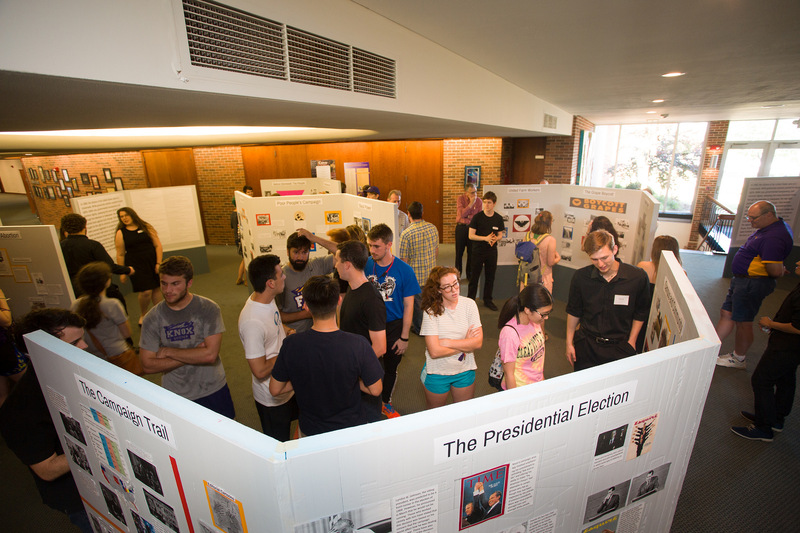 The students in the Museums class deal with numbers as key components of historical stories in their research in multiple ways, creating timelines, dissecting opinion polls (the 1968 exhibit, for example), distribution and sales numbers (the 2016 Captain America exhibit), and creating graphs and other data visualizations to communicate what they’ve found in their research. They also have to manage a budget. We fundraise, and then we spend the money, and keeping track of what comes in and goes out, collating receipts, turning in paperwork – that’s all down to the students. There’s also personal budgeting to take care of. For the last two years I’ve taken the students to New York and then D.C. to see world-class examples of public history. The trip is paid for, but students have to be reimbursed for meals, which means navigating our reimbursement procedures when they return. 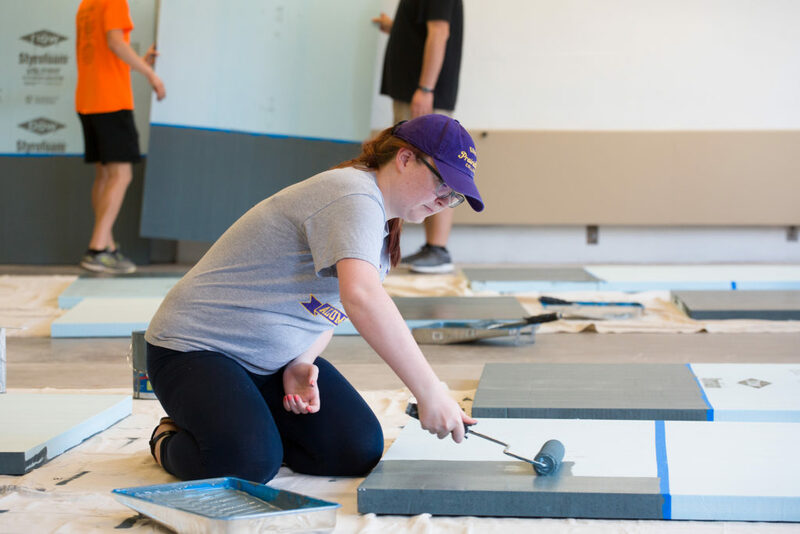 While the students work as a team on almost every aspect of the exhibit process, they are ultimately responsible for two panels in the exhibit – writing the copy, deciding on the images, and figuring out the placement of each. They have to develop the confidence to take a stand on the issue they’ve been researching and communicate that stance to the public. The students then staff the exhibit at our grand opening where, for two hours, they’re available to talk to local community members and people from campus about their work. In order to complete their research, students have to turn to online resources – to websites, databases, and blogs. We spend time dissecting websites in order to work out what makes one trustworthy and we spend time in the library learning the ins and outs of multiple databases and online repositories of information (such as the Digital Public Library of America). We also communicate through facebook and Slack; we make our labels and images through Microsoft Publisher; we publicize using social media, after considering the most effective strategies for doing so. Students aren’t coding in this class, but they’re definitely becoming savvier users of the digital tools available to them. The class is a lot of work for everyone involved – both myself and my students. But the finished product is always breathtaking – a fully realized exhibition to which they get to welcome the public. The class has been a springboard for several students to move into public history work, but I hope it’s also been worthwhile for the students who don’t choose that path. By combining all the skills the class demands they are better able to confidently communicate to an employer how flexible they are in their thinking, how deep their research skills go, and how creative they can be. I’ll be thinking hard about the Five Skills and how to emphasize them in my other classes from here on in. They feel useful – a great way to think about transferable skills in a way that still fits within the parameters of good history instruction. And I’d love to hear the ways in which others use the skills already. Drop a comment here or on twitter!